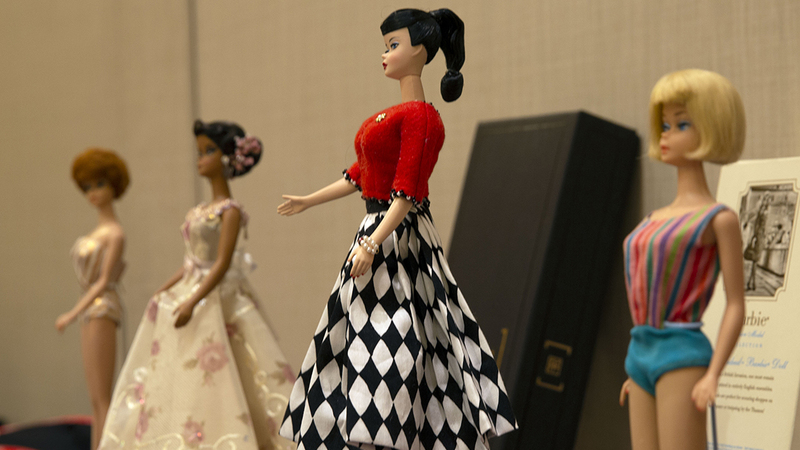 PHOENIX – As visitors stroll through the aisles of Barbie dolls arrayed at a national collectors’ convention in Phoenix, one doll among hundreds stands apart. A tan-complexioned Barbie with long, braided black hair and traditional Native American dress is perched proudly on a pedestal hand-painted to resemble grass. Pabboo Redfeather, an artist and designer, reimagined a Barbie distinguished from the thousands of Barbie dolls crafted in Mattel factories. 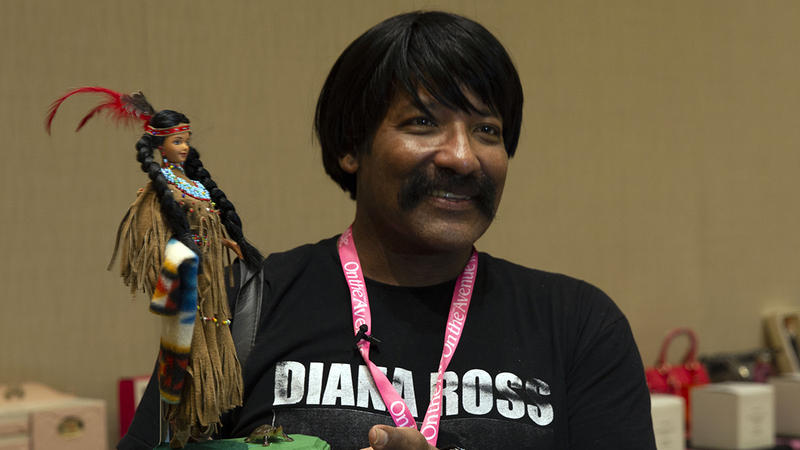 A smiling Redfeather, who has collected 9,000 Barbies, said he fashioned the doll to resemble the women of his mother’s tribe, the Blackfeet Nation. In an age of heightened multiculturalism and such movements as #MeToo, Mattel is among the companies – from cosmetic brands to fashion lines – working to reflect an ever-changing audience and customer base of different shapes, sizes, complexions and careers. 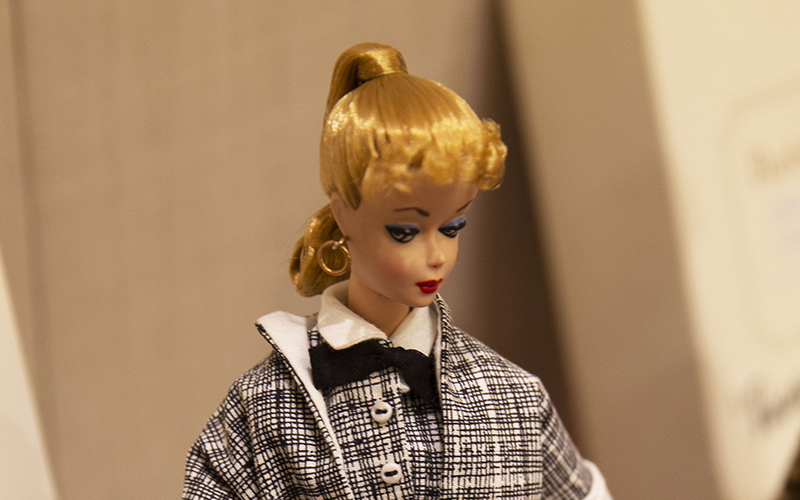 Collectors – mainly adults and mainly women – from countries as far away as Australia, Italy, Japan and Canada gathered at the convention to celebrate their love of Barbie and their belief that the iconic doll has remained a symbol of beauty and femininity for nearly 60 years. These were fans, and none mentioned controversy over whether Barbie is a feminist or hurts or helps girls’ self-esteem of girls. Several said the growing diversity of skin tones added to Barbie’s allure. Although Barbie Dolls of the World – which represent cultures from such countries as Mexico, China and Scotland – have been available to serious collectors since the late 1950s, the first Barbie of color was not offered on the mass market until 1980. Since then, Mattel has made Barbie dolls with skin tones ranging from porcelain to ebony, including ethnically ambiguous skin tones that could be considered Hispanic, Middle Eastern or Native American. 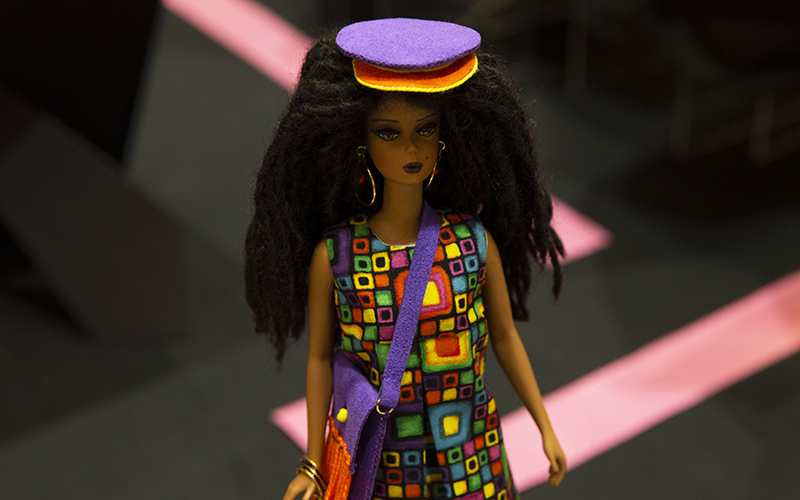 In 2015, Mattel released its first batch of dolls for its Sheroes line, honoring renowned women of diverse racial and ethnic identities and occupations from around the world. Women replicated so far include ballerina Misty Copeland, Olympic fencer Ibtihaj Muhammad, snowboarder Chloe Kim and conservationist Bindi Irwin. This year the company introduced its Inspiring Women line, which showcases women who made history. So far, three women are in the series: Mexican artist Frida Kahlo, African-American NASA mathematician Katherine Johnson and American aviator Amelia Earhart. 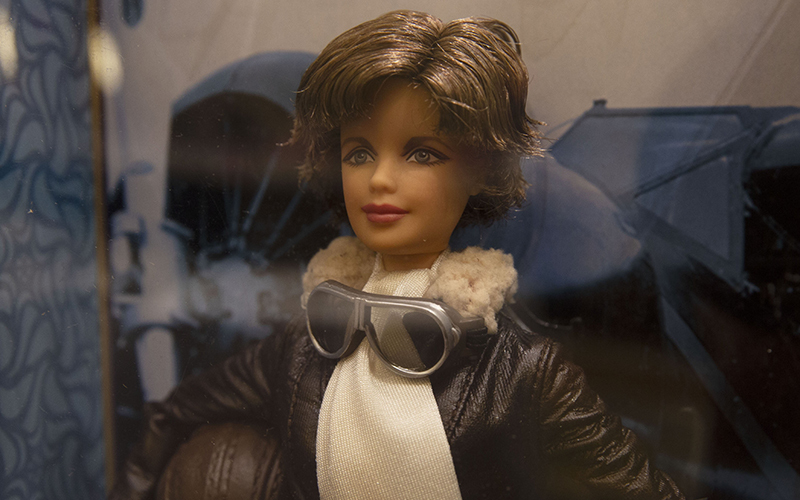 Amelia Earhart, whose plane disappeared over the Pacific in 1937, is included in Mattel’s Inspiring Women line. The company says it plans to expand the collection. (Photo by Vivian Meza/Cronkite News). Audiences praised the company for showcasing a diverse set of women that strayed from using the typical actress or pop star as inspiration. 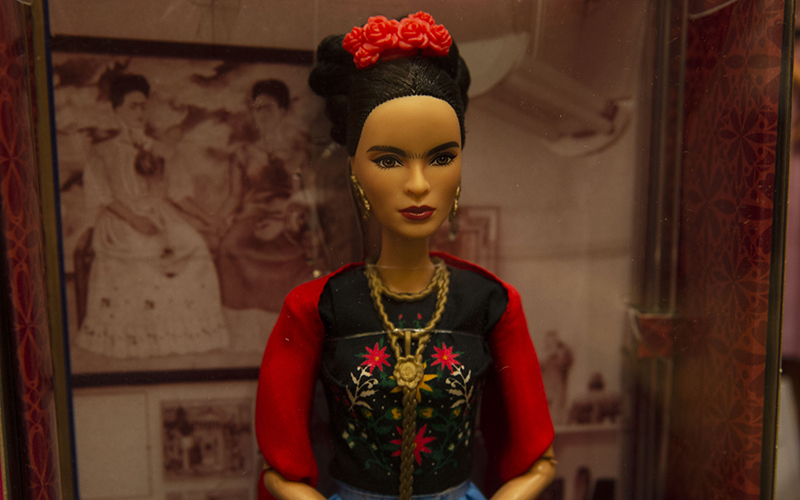 Others criticized the fact that most of the dolls still have the same unrealistic Barbie body shape, which often is cited as detrimental to young girls’ self-esteem. Studies, such as the one conducted by the American Psychological Association in 2008, suggest that exposure to mass media depicting a skinny body, much like Barbie’s figure, may be linked to body-image issues in women. Barbie sales began dropping significantly in 2012, and the company sought new ways to rebrand itself, according to the Huffington Post. In 2016, Mattel released a line of dolls that strayed from the typical hourglass figure and showcased new body types for Barbie and Ken. Buyers can purchase a curvy, tall, or petite Barbie doll, and a slim, broad, or original Ken doll. Several collectors at the Phoenix convention said they were unhappy that Barbie is straying from its original shape, making it harder to dress the doll and removing some of the fantasy. Mario Paglino, a Barbie collector and designer for Mattel in Europe, said the doll, with different body shapes and skin tones, better represents people today. That’s ultimately what buyers want, he said, and that’s what’s important. Although still more body types, backgrounds and cultures are ahead for Barbie to showcase, Powers said the efforts to mold Barbie into a more expansive reflection of females is ongoing. “It’s progress, not perfection. We’re still getting there,” she said.